Solving a Rubik’s cube is a priority for many as it is always consider as a puzzle of the lifetime. 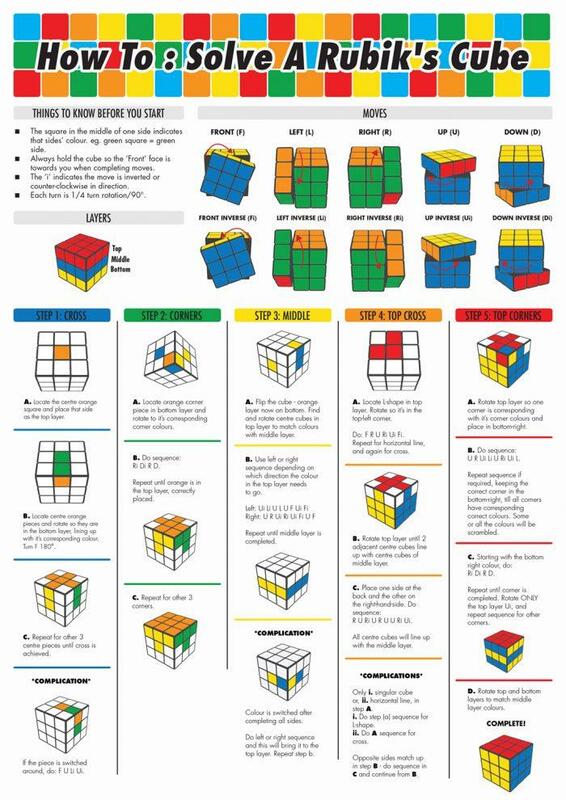 There are various contents available over the web but with the infographic shared via reddit.com talks about how to solve a Rubik’s cube in a first go. We believe that the graphic definitely interest you a lot just like it does to us.